When you wish to link multiple contacts per one organization on import, follow the steps of the import from .csv file. 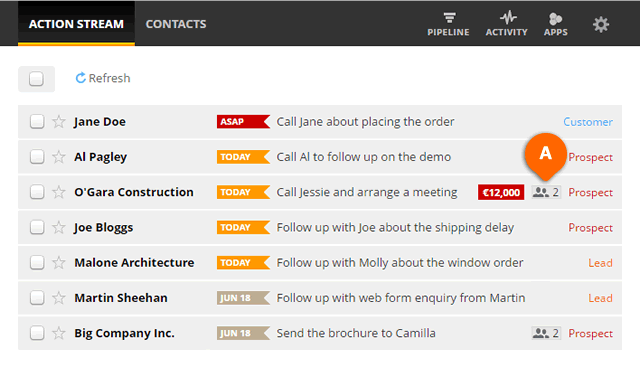 When you are filling in the spreadsheet with your customer information, make sure that the Organization name is identical for the contacts that you wish to link. 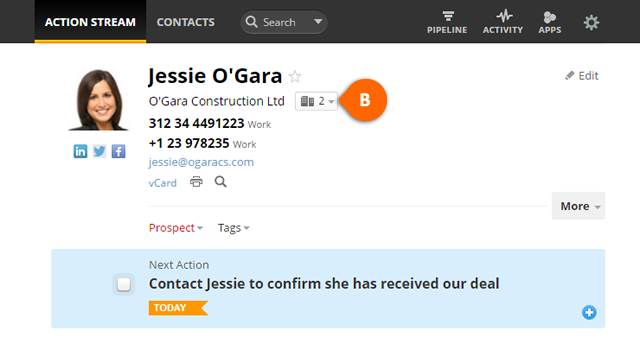 After successful import, the contacts will be linked and you'll be able to see the list of associated colleagues by clicking on the Account View in Action Stream (see A) or from organization view (see B).